Paul joined the RCD of Monterey County in July 2008 after serving as the Executive Director of Yolo County Resource Conservation District since 2000, before which he served YCRCD as Program Manager from 1995-2000 directing on-farm agronomic and natural resource management projects and monitoring, as well as outreach. The focus of his career has been on the interactions between agriculture, water quality, and wildlife habitat in California, with emphasis on the use of native vegetation systems and communicating their application to farmers and the public. 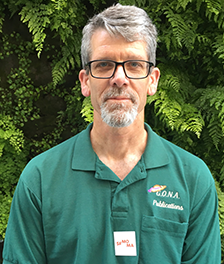 Paul’s education includes an MS in Community Development and BS degrees in International Agricultural Development and Landscape Architecture from UC Davis. 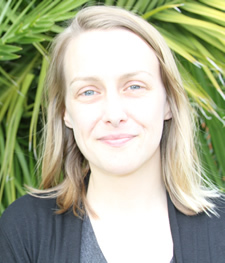 Emily became an RCD Monterey employee in April 2016. She was previously a Research Associate in Urban Ecological Restoration at the University of Tennessee Knoxville, where she led the first ecological inventory of Knoxville's Urban Wilderness. 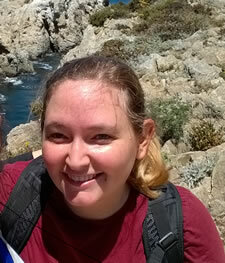 Emily received her PhD in Ecology with an emphasis in Restoration, as well as a certificate in Conservation Management, from the University of California Davis in 2014. Her dissertation research focused on the effects of stream and riparian restoration and management on aquatic plant communities, and she got hands-on restoration experience volunteering for the Putah Creek Council and the Student and Landowner Education and Watershed Stewardship program. Before graduate school, Emily worked for the Florida Department of Environmental Protection on water quality criteria development. She received her BS in Environmental Studies from Florida State University. Emily's research and professional interests include native habitat restoration, invasive species management, and conservation planning. She is committed to finding equitable, science-based solutions to ecological challenges. Megan came to the RCD in September 2016 initially as a Biological Monitor for the Salinas River Stream Maintenance Program. She currently supports the RCD as the Project Administrator, assisting staff with project and program permitting, reporting, and communications. She was previously an environmental scientist at Cardno from 2013-2015, working on a variety of projects including permitting and compliance, environmental communications, and construction monitoring. 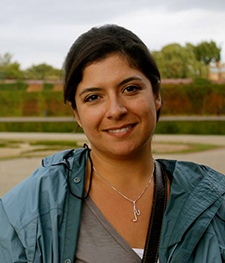 She received her Master’s degree in Environmental Science and Management from University of California Santa Barbara, where she focused on water resources and pollution prevention, and a BA in Anthropology and Film & Digital Media from UC Santa Cruz. 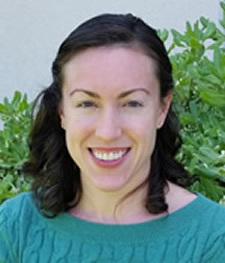 Adrienne joined the RCD of Monterey County in January 2018 as a licensed civil engineer with an interest in water resources. A Kentucky native, she moved to California to go to Humboldt State University and graduated from the Environmental Resources Engineering program in 2004. Following graduation she moved to the Monterey Bay area where she elevated to a senior engineer position overseeing project management, site assessment, construction, technical assistance and quality assurance. She has worked throughout the Central Coast and her projects varied in type and scale from discreet water use studies to large site development design. Adrienne focused her engineering experience on exploring potential for water reuse in decentralized areas..
Laura joined the RCD as Soil Scientist in February 2018. Her first responsibilities at the RCD focus on providing technical assistance to small-scale, new and Spanish speaking farmers. After completing a M.S. in Soil Science at UC Davis, she worked at the University of California Cooperative Extension office in Salinas from 2010-2018. Her work at UCCE as a Staff Research Associate included irrigation, nutrient management and food safety research. In 2016, Laura completed the PEPA organic farmer educational program at ALBA in Salinas. She maintains her own small fruit and vegetable farm plot. Through the RCD, Laura supports farmers to test and implement both proven and innovative practices to build healthy soil and create thriving and sustainable farms. 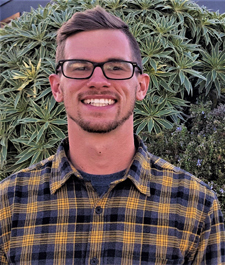 Shaun joined the RCD of Monterey County in September of 2018, with a BS in Biological Systems Engineering Virginia Tech, with focus on Land and Water Resource Engineering, and a Master’s in International Environmental Policy from the Middlebury Institute in Monterey. Shaun has worked overseas with Engineers Without Borders on projects focused on sustainable energy systems in Uganda, and with the Peace Corps in Panama focused on gravity-fed aqueduct systems, as well as the design and implementation of biosand filters and composting latrines for community and domestic use. His professional areas of interest include water resource engineering, erosion control, and water and nutrient management. Esther joined the RCD as a field biologist in March 2016. She is a recent graduate from CSU Monterey Bay with a Bachelors degree in Biology. She has worked to monitor the Western Snowy Plovers population along the Monterey Bay beaches and to improve flood control along the Salinas River. 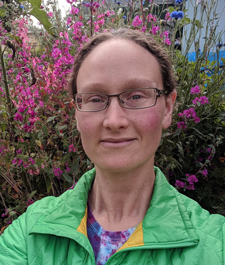 She has conducted research on the distribution of birds in the Moss Landing Wildlife Area and monitoring the overwintering population of Monarch Butterflies in Monterey Bay. She plans on continuing to study birds, their environment, and the effects human interactions and disturbances have on bird populations. Jamie joined the RCD in November 2018. Jamie previously worked at the Sierra National Forest for the US Forest Service for 13 years as the Assistant Forest Botanist. Before that, he worked several seasonal positions for the Forest Service throughout Oregon and California. 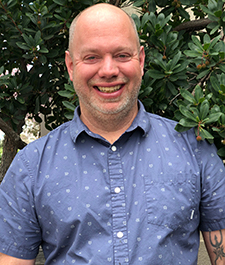 Jamie attended the University of Hawai’i Manoa with a BA in Botany and then went on to achieve his MS in Forest Ecology at Oregon State University in 2004 with his thesis on the biology and ecology of Potentilla recta in the Blue Mountains of Oregon. His career has focused on the management of rare plants, invasive plant management, and large multi-resource project planning. He also has worked as an independent contracting biologist for Sequoia Ecological Consulting doing wildlife monitoring. He has worked in several aspects of wildfire response and fuels management activities while in the Forest Service. Ben joined the RCD of Monterey County in July 2013. 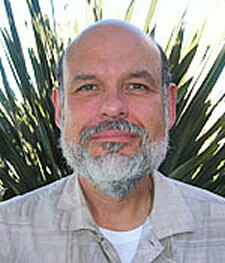 He spent six years as an Associate Professor in the BioResource and Agricultural Engineering Department at Cal Poly in San Luis Obispo where he taught and performed research related to on-farm irrigation management and ways to improve the efficiency and reliability of irrigation water delivery systems. Ben’s other experience includes design and evaluation of irrigation, pumping and distribution systems, and water management practices in field and greenhouse seed production, the study of runoff and leaching losses of pesticides and nutrients from soils, and measuring movement of contaminated sediments in watersheds during storm events. Ben has a BS in Agronomy and Agricultural Engineering from the University of Panama, MS and PhD degrees in Soil Science from the University of Florida, and a MS in Water Engineering from the California Polytechnic State University San Luis Obispo. His areas of interest are water movement and nutrient transport in soil, soil-water-crop relationships, and water resources engineering.